Hello sir is there any one provide me list of Project Scientist In IIST? 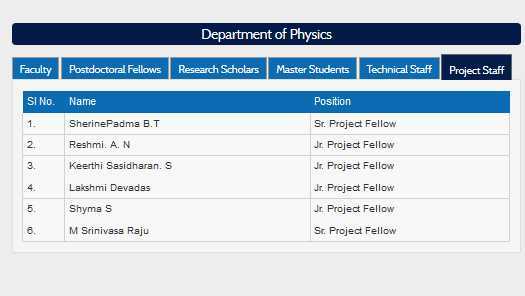 Who are serving and worked as Project Scientist In IIST? The IIST offers academic programmes and conducts research in various areas that are organized under the following seven departments: Aerospace Engineering, Avionics, Chemistry, Earth and Space Sciences, Humanities, Mathematics and Physics.